Judy Weiker is a Certified Insolvency Restructuring Advisor (CIRA) whose clients benefit from her more than 20 years of experience working with major financial and banking institutions. Judy has the proven ability to facilitate restructuring initiatives of varying complexities, achieve consensus among competing interests, and drive process to maximize return on investment. Her expertise in managing distressed investments in the U.S. and abroad covers a diverse range of industries, and she has served as lead investor on bank steering committees, ad hoc bondholder groups, and unsecured creditor committees. Judy brings a thorough understanding of the restructuring process to each client’s case, having restructured investments throughout a company’s debt and capital structure including bank loans, private placement notes, public rated securities, project finance, mezzanine debt, asset backed securities, and private equity. In addition, Judy holds a JD from George Washington University and an LLM from Boston University, giving her greater insight and perspective into the document-intensive nature of the services she provides. 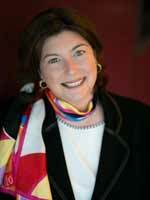 Judy is also a trained mediator listed on the Eastern District of New York registry of approved mediators. One of Judy’s greatest strengths is her ability to quickly immerse herself in all pertinent information regarding any given industry in order to achieve maximum value-driven outcomes for her clients. Her industry experience includes airlines, automotive OEM and suppliers, building supplies, cable, defense/aerospace, emerging markets, energy, financial services, healthcare, media, retail, telecommunications, timber, transportation, and steel. A firm believer in the benefits of educating interested parties in the intricacies of workouts and restructurings, Judy is key to the Education, Training & Coaching component of the services offered by Manewitz Weiker Associates. Judy’s skills as an educator are evidenced by her current role as an adjunct professor at Pace University’s Lubin School of Business where she teaches an MBA/MS level finance course in the turnaround and restructuring of troubled companies. Prior to co-founding Manewitz Weiker Associates, LLP, Judy was a Distressed Investments Portfolio Manager and Workout Specialist with more than 15 years of experience working for Metropolitan Life Insurance Company (MetLife) and JPMorgan Chase and its predecessor banks. During her seven years at MetLife, Judy managed a distressed portfolio of Domestic and Global Fixed Income Investments and Private Equity Holdings totaling over $1.5 billion in assets, with individual investments ranging from $20 to $125 million. Judy managed all of MetLife’s distressed holdings of Argentine corporate debt. She also managed distressed global fixed income investments originated by MetLife’s foreign offices located in London, Hong Kong, and Buenos Aires. Prior to working at MetLife, Judy was with JPMorgan Chase and its predecessor banks for eight years, where she received her credit training. She served as a Vice President in the Workout Unit, where her focus was on rehabilitating the financial strength of small and middle market companies. Additionally, Judy is a graduate of Leadership America, has served in various leadership capacities in community organizations, and is the founder of ML Cares, a group in Mountain Lakes, New Jersey, dedicated to providing financial relief to disabled and needy community members.